How do I change the excerpt length for Post Feed slides? 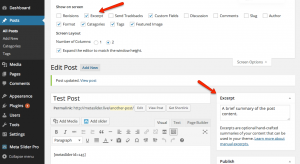 There are multiple ways to change the excerpt length in WordPress. The first option is to simply install one of these plugins. The second option is to include the following code in your themes functions.php file. 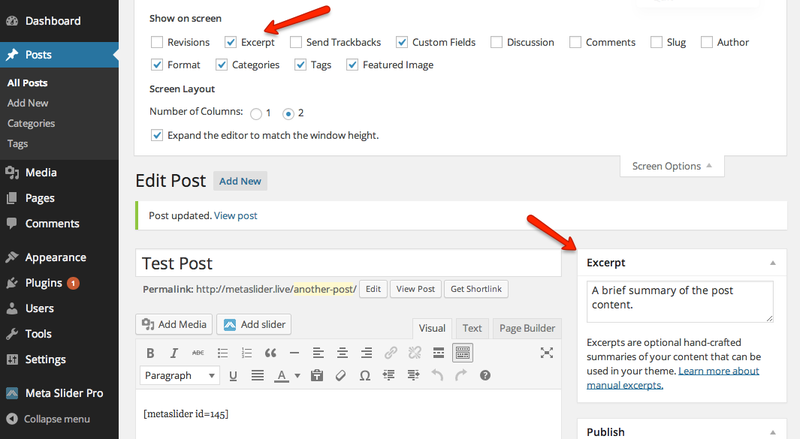 The third option is to manually create your excerpts in WordPress. To do this, edit a post and go to ‘Screen Options’ at the top of the page. Check the ‘Excerpt’ box. You should now see a text area where you can enter a custom excerpt for your posts.